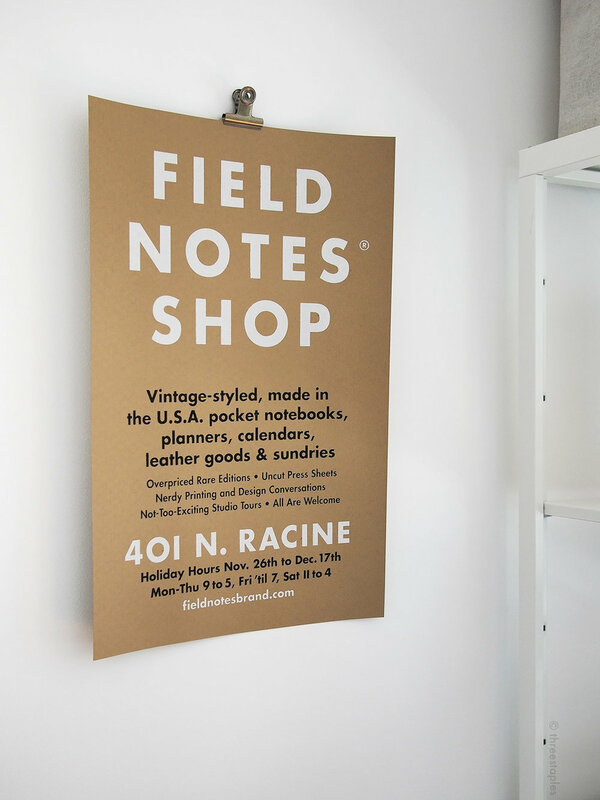 Field Notes Shop Poster: Nailed It! I don’t know if I nailed nailed it 😄, but the Field Notes shop poster that I got when I visited their Midwest HQ is finally hanging on my wall. All it took was a small nail and a bulldog clip I found at Daiso. Someday I’d like to give it a proper framing treatment, but for now this will do. Plus I know it will be a while before I find or custom-make a frame appropriate enough for its dimension of 12.5" x 19". I really like this kraft + white look; it reminds me of Day Game (15th quarterly edition). I believe this poster was screen printed in-house (Field Notes has a screen printing room!) for the 2016 holiday season. Looks to me like it’s the same kraft used in the Original Kraft memo books, too. Even though I was there recently, I was happy to relive the experience by reading their posts. I also bought an uncut press sheet, and it needs to be hung soon. I’m working on it though, and I’ll be sure to show you the final result when it’s all done! PS: If you’re wondering about the yellow Totem (from the game Monument Valley) sitting on the shelf, I made it with paper using a template found here.